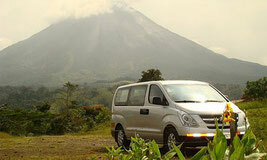 Arenal Vacation Package 3 Days 2 Nights for adventure people. If Adventure is what you expect, Arenal Volcano area is the perfect place, Arenal Evergreen offer you this Arenal Adventure Package to enjoy whitewater rafting, canopy, horseback riding, canyoning and Venado Caves and after that the best place to relax, Tabacon Hot Springs. - Arriving to La Fortuna around 12:00 p.m.
-8:30 p.m Buffet dinner at Tabacón. - 7:15 a m Canyoneering Tour. Waterfall Rappel. -Rafting to Balsa River class III-IV. -8:30 pm Dinner at Sura´s Restaurant enjoying the view to the Volcano. -Lunch in downtown La Fortuna. -Leaving La Fortuna for your next tourist destination. 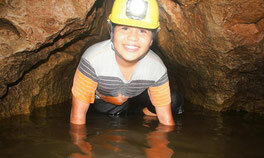 - All adventure activities are included. Please fill out the form if you want to make reservation or if you need any extra information about this Arenal Adventure Package 3D 2N.